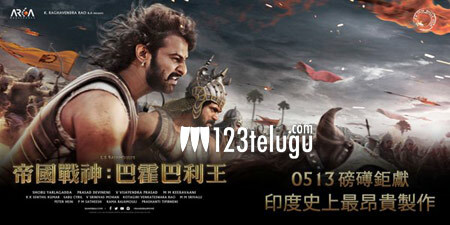 After scoring a historic box-office success in India and the US last year, India’s biggest motion picture Baahubali is now having a successful run in the Asian country of Taiwan. The film, which was released in Taiwanese, is into its third week run now and it’s still running to sold out shows across the country. Apart from Taiwan, Baahubali will also be released in China in June and will also make its debut in the Latin American country of Peru. Baahubali also had a successful theatrical release in European countries such as Germany and France. The film’s unit is currently gearing up for yet another grueling schedule of Baahubali The Conclusion at Aluminium Factory in Hyderabad.